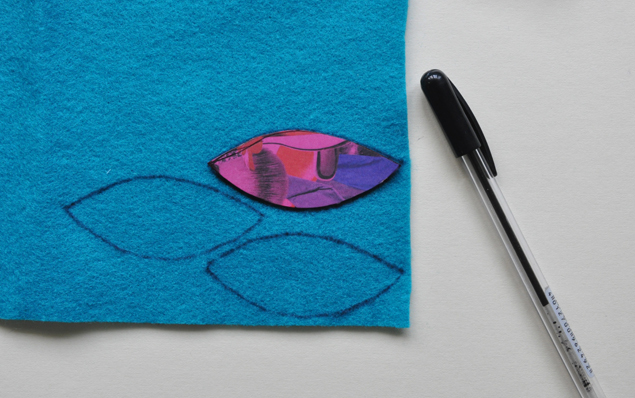 If you want to use felt shapes of the same size, grab a magazine cover (so it’s thicker than regular paper) and draw it out! Cut the shape out. 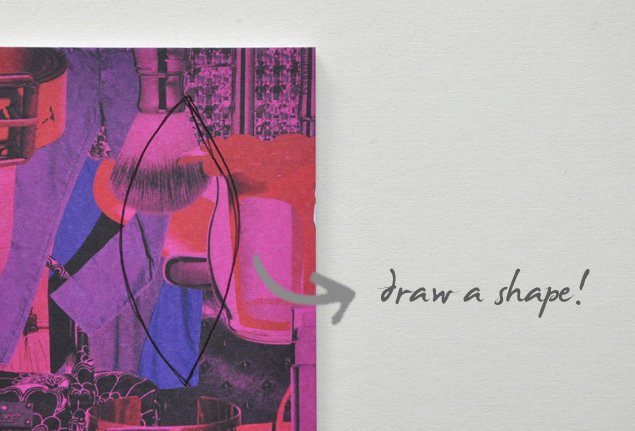 Place it on top of the felt you’d want to use and draw outlines using a ballpoint pen. Cut out as many pieces as you need. 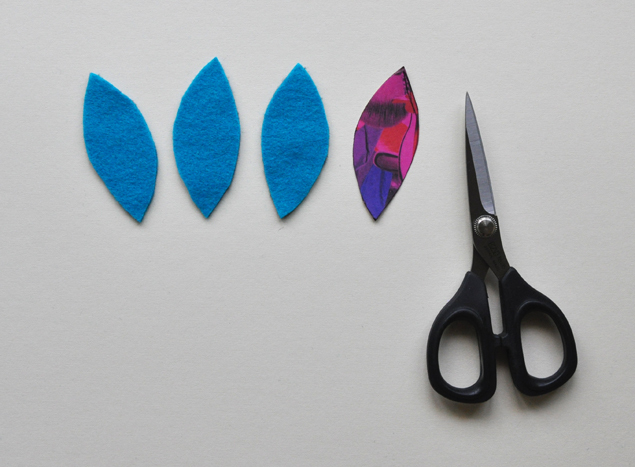 Alternatively, you could cut out shapes freehand for a more natural feel. 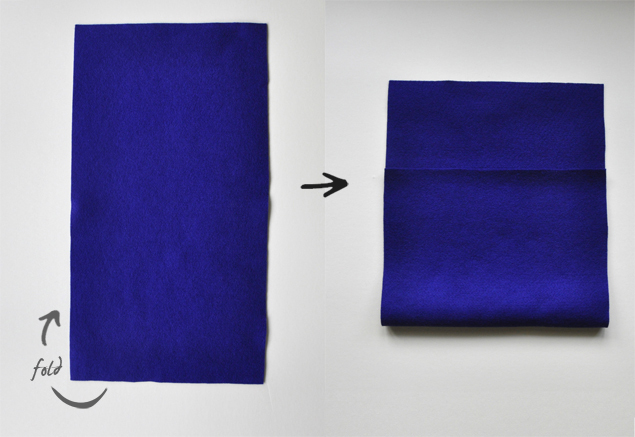 Grab a long piece of rectangular felt and fold the base upwards to form the body. 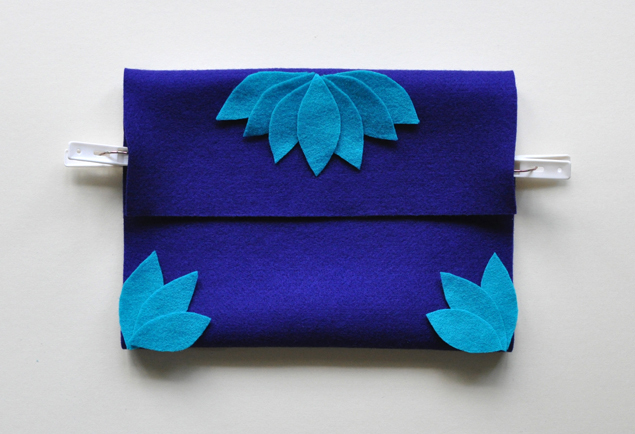 Fold the top downwards to form the top flap. 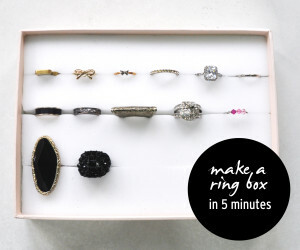 Use regular clothes pegs or clips to hold down the sides. 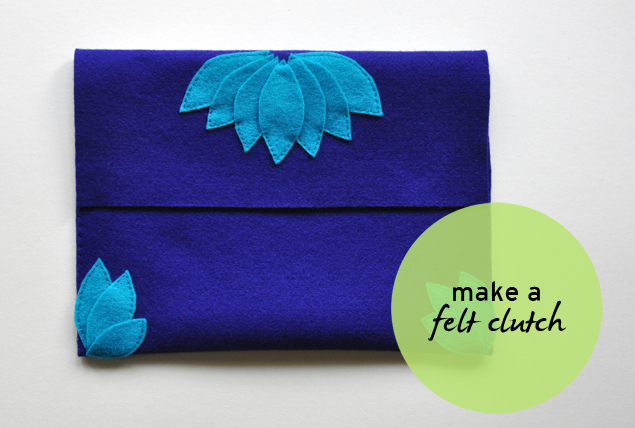 Place the felt pieces on your clutch and arrange them till you’re happy! 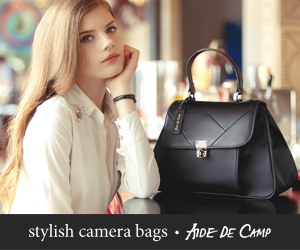 Once you’re happy with your design, you can use glue on the back of each piece to hold it down. 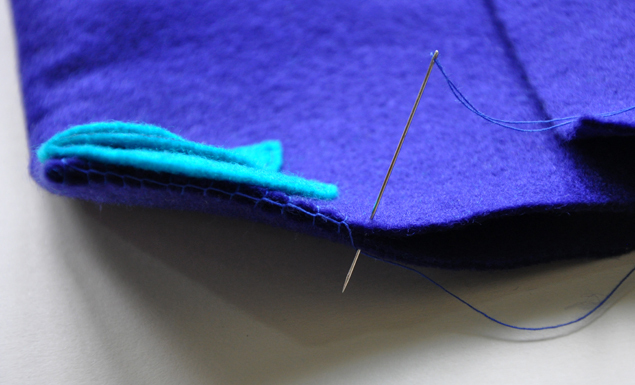 Spread in the center if you’re intending to hand stitch (it’ll be more secure). If you are happy using just glue, make sure you use glue that’s strong enough and spread close to the edges. 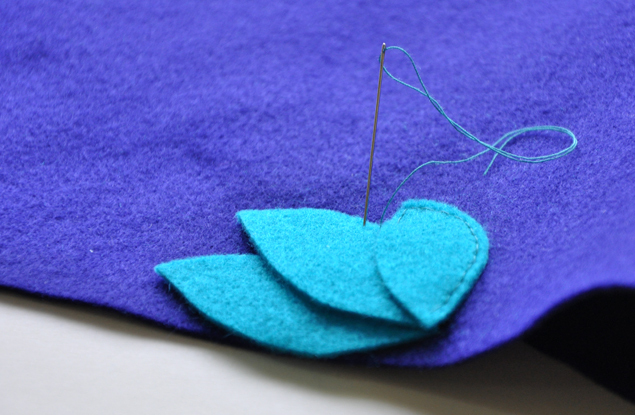 To stitch the felt pieces by hand, grab a needle and thread. The thread can be in the same color or a contrasting color if you prefer. 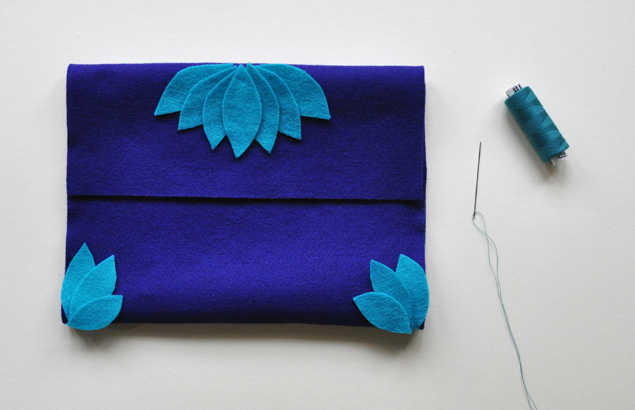 Keep your knots on the inside and stitch all around! 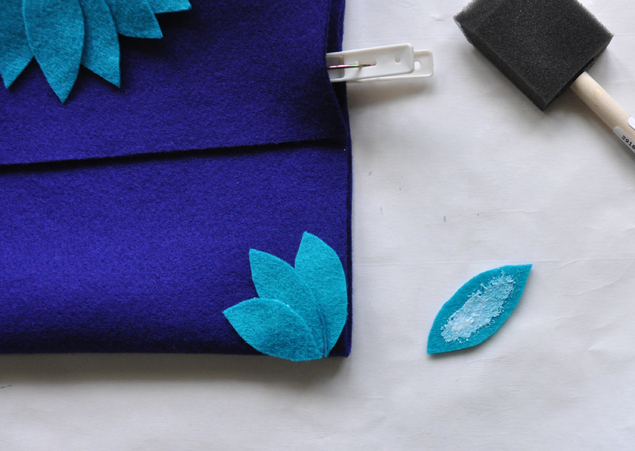 After you’re done with sewing down the felt pieces, sew down the two sides of the clutch. 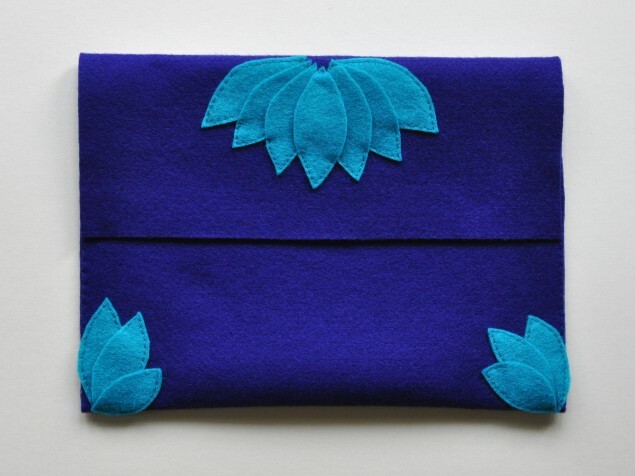 You can use straight stitches but in this example I chose a blanket stitch for something different. Awesome, thank you so much. It’s an honor :) Will definitely be submitting more soon!